And I’m just sitting here consuming too much caffeine for comfort. 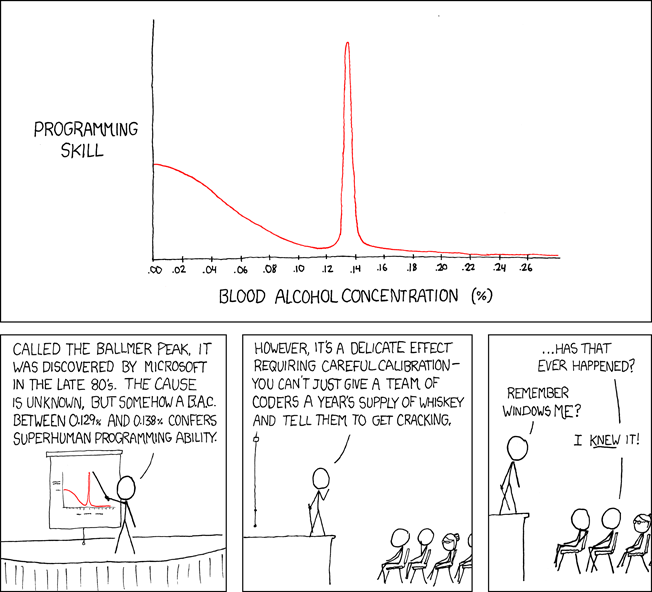 What name should we give the Ballmer peak for caffeine?? So the weather became solidly fall-like. And then took a turn for the worse. Thanks, PNW. Being thoroughly cold-cold while having a headcold is super awesome. Seriously. Just be cool, ok?